Geetu Verma has given a new lease of life to Hindustan Unilever's food business. 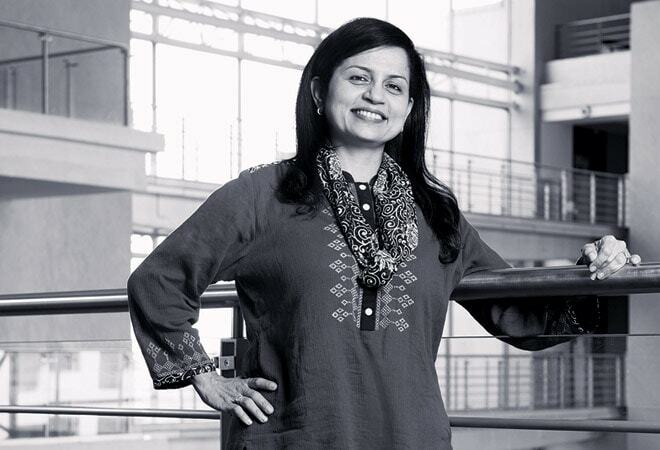 Geetu Verma, Executive Director (Foods), Hindustan Unilever (HUL), likes to call herself a "food innovator" who specialises in creating the most delectable breakfast delicacies. "I make the best sandwiches and the most innovative spreads and dips," she says. Her latest creation is a noodles omelette with a stuffing of HUL's own Knorr soupy noodles. Verma's innovator instincts have ensured that the Rs 30,805-crore fast moving consumer goods (FMCG) company has got back its much-needed focus on food. When Verma quit PepsiCo to join HUL in 2011, the latter's food business seemed to be going nowhere. Growth had slipped from 30 per cent to 18 per cent between 2001 and 2011. The company was being criticised for giving step-motherly treatment to the business. As if that wasn't enough, new entrants such as ITC overtook this decades-old business in terms of revenue. However, Verma brought in the necessary changes. In the past three years, the contribution of the food business to overall revenues has increased by 25 per cent, says a proud Verma, who calls her team 'Foodies'. "HUL finally seems to have a clear food strategy," says Devendra Chawla, Group President (Food, FMCG and Brands), Future Group. "There is a well-thought-out execution plan behind each category, each brand. Despite not many new launches, the existing categories are seeing a sharper consumer connect," he says. Investing in existing categories was exactly what Verma did. She was clear from the beginning that she wouldn't enter new categories to begin with. "We had a heritage portfolio like Brooke Bond, Taj and Bru. It had scale and needed to be taken to the next level. The other part of the portfolio such as ice cream and Knorr was nascent with low penetration and had to be built," she says. The first thing Verma put in place was a separate 'go-to-market' strategy for the brands. They were no longer distributed with other FMCG offerings. This, says Verma, significantly improved their availability. In addition to this, she put together a separate team that made sure consumers got to sample the products in offices, schools and university campuses. "We opened food kiosks where consumers could try jam sandwiches, soupy noodles or ketchups. We are touching about 10 million consumers through sampling," she says. At the same time, Verma exited categories such as soya juices and sandwich spreads. "Staying the course on our core categories, making portfolio choices, focusing on the go-to-market strategy, creating sampling infrastructure and, of course, the magic of marketing - this, in a nutshell, has been our journey in the last three years." "HUL, of late, has done a great job of capturing the tastes of global Indians, especially with its Knorr range," says Gaurav Tandon, founder of speciality food start-up Yummade. Apart from getting the food business back on track, Verma has taken several steps to create a food culture in the organisation. On Fridays, for instance, her team attends a cooking class after office hours where the members bake cakes and cull out snacks using their own food brands as ingredients. "We once baked cup cakes and used Kissan jam as a filling." These activities, she says, bring her and her team closer to food. "If we love the food, only then can we transfer that love to consumers," she says. Now that the basics of her business is in place, the next few months, says Verma, would see a lot of action in terms of rollout of new innovative products. However, the company still has a long way to go to reach the level of its parent company, Unilever, which gets over 45 per cent revenue from food. "HUL is committed to its food business and I see ourselves continuing to strengthen our position."